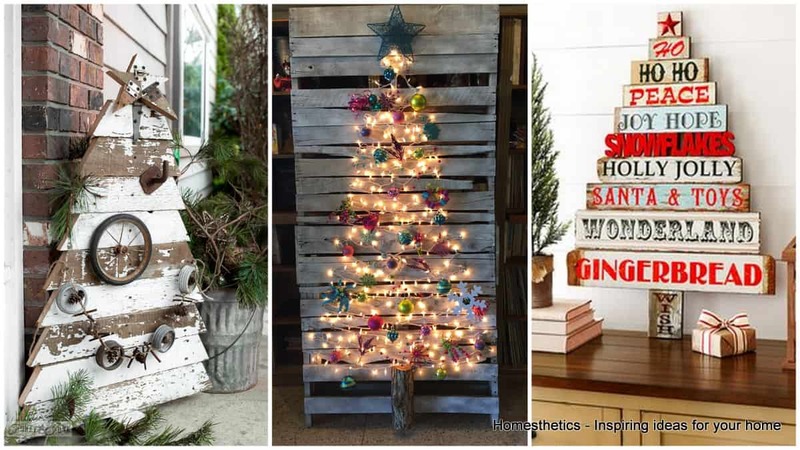 Top 20 Pallet Christmas Tree Designs To Pursue | Homesthetics - Inspiring ideas for your home. 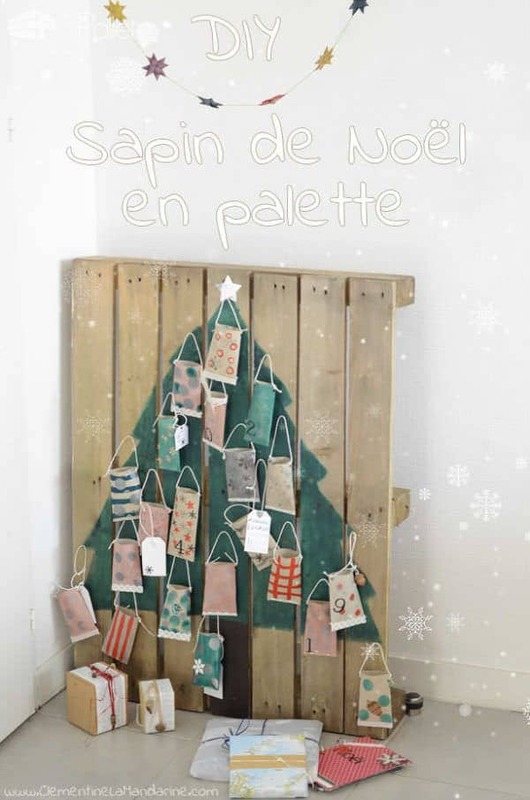 Christmas is but a few days away and we could not be more excited, it it a time of joy, celebration, peace and quiet, a moment in time when everything falls into place and we get the chance to spend more time with our loved ones.The Christmas tree is usually decorated by now in expectancy of Old Saint Nick and the remaining time is spend decorating the rest of the household, preparing sweets and treats for the Christmas family dinner and making last minute errands and buying presents. 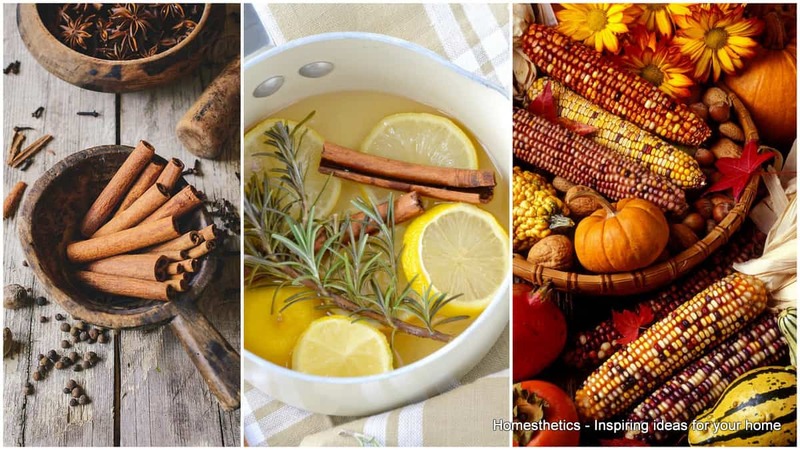 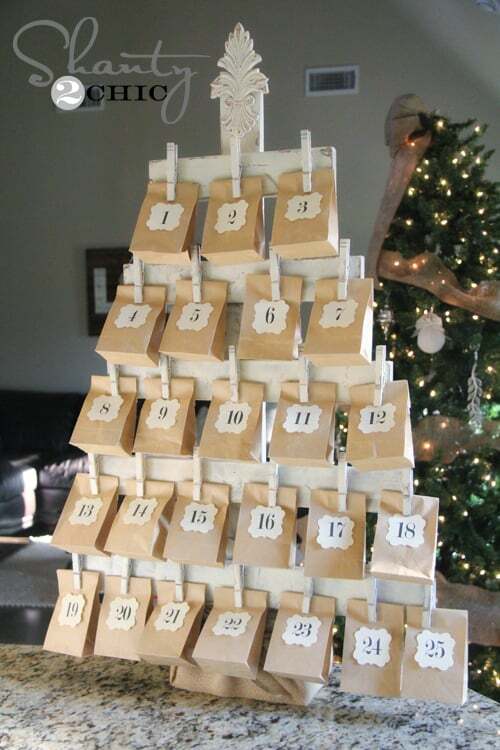 For the ones who didn’t have the chance to catch a break and to properly prepare for the winter holidays, finding the right Christmas tree can seem overwhelming. 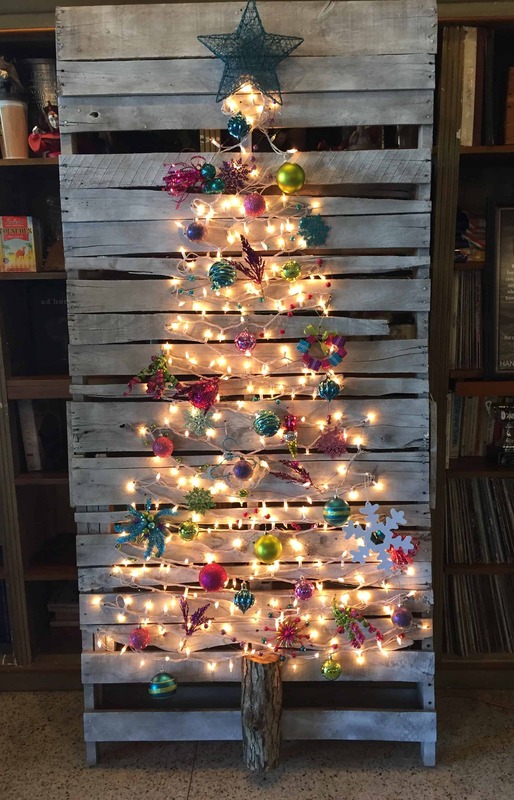 But, as usual, recycling comes to the rescue and offers a viable cute and creative alternative to the classical pine tree: pallet Christmas tree designs. 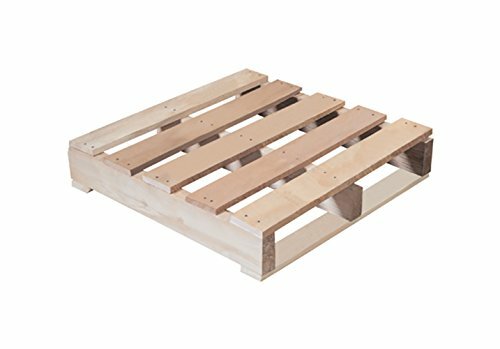 The all so versatile pallet can form the support for string lights, handmade decorations and even the base for your painting skills. 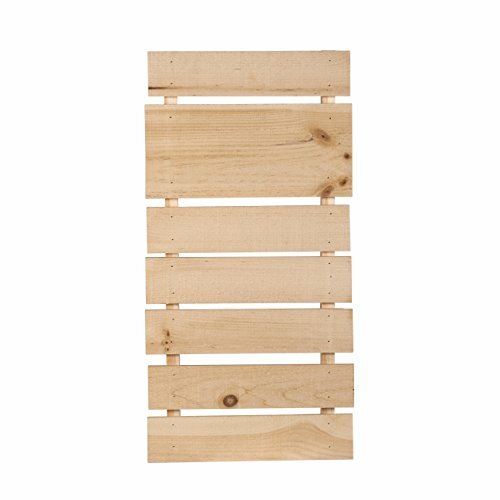 You can use the wood in the classical pallet shape or dismantle it and rearrange the pieces as you seem fit. 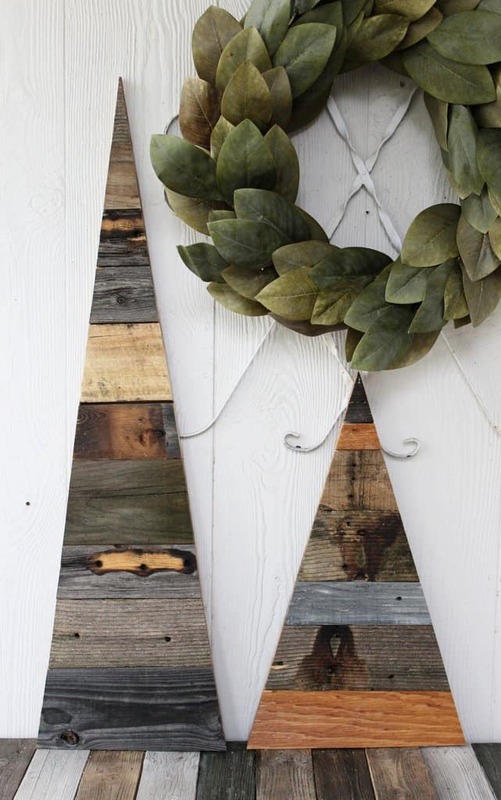 Let’s cast a glance at a few ideas. 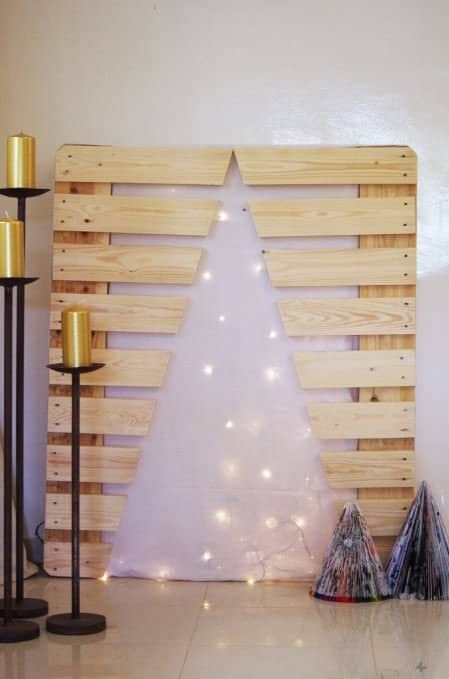 Use half a log to form the base of the tree and white string lights for an elegant effect. 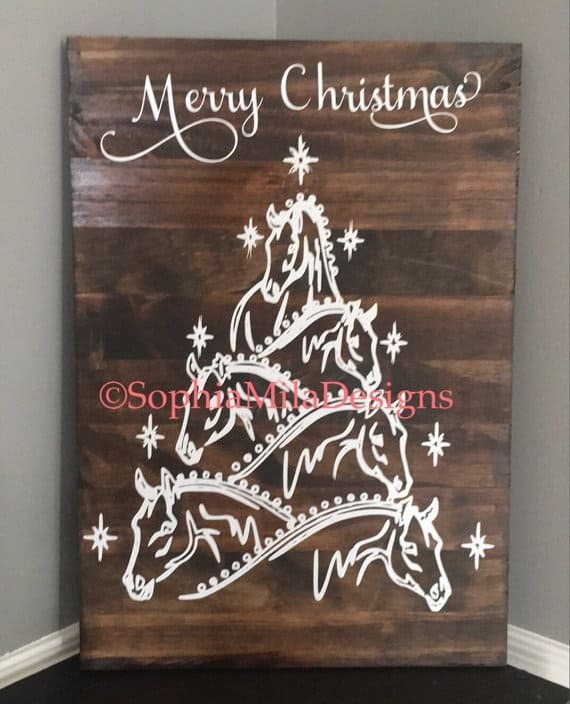 You could sketch the tree with a pencil and follow the lines using a white spray paint. 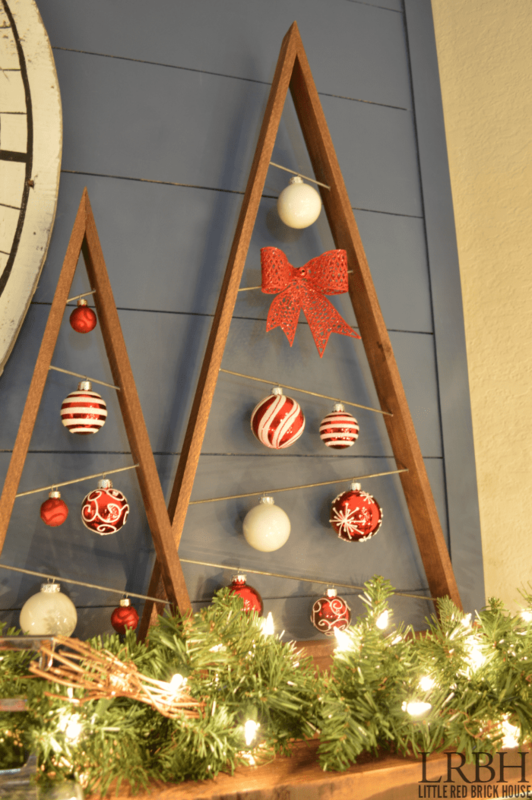 Add nails from which you can then hang your colorful ornaments. 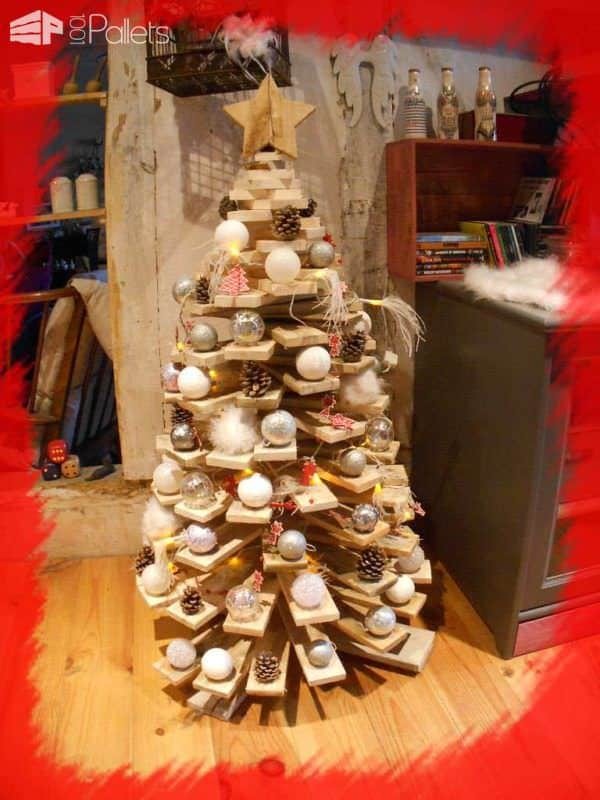 This simple craft is very spectacular, use very small string lights to go with the delicacy of the tree. 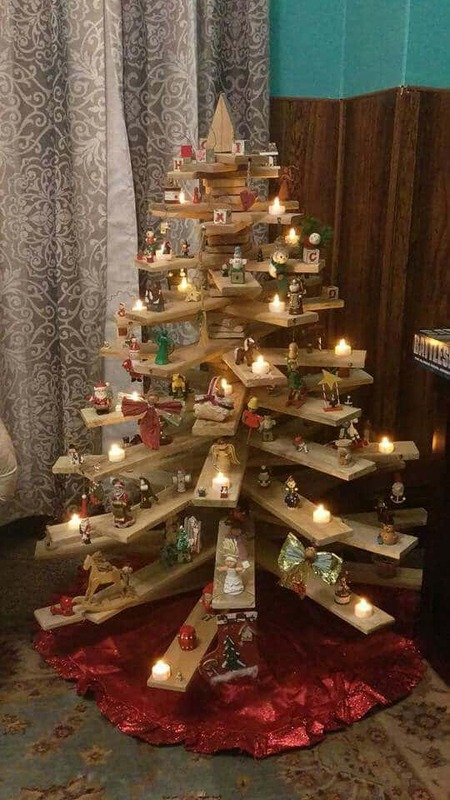 It’s the fastest Christmas tree alternative you could choose. 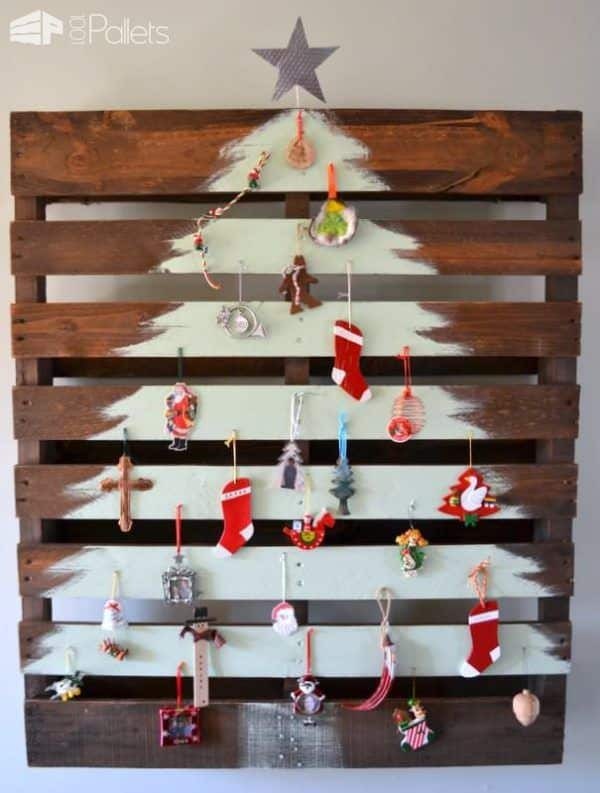 A tree with shelves? 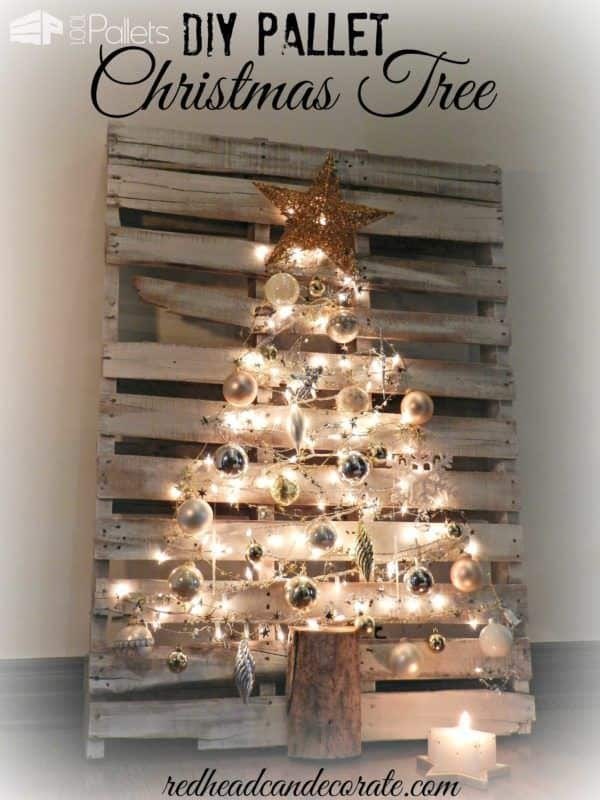 Well a pallet tree can accommodate them for displaying different types of decorations. 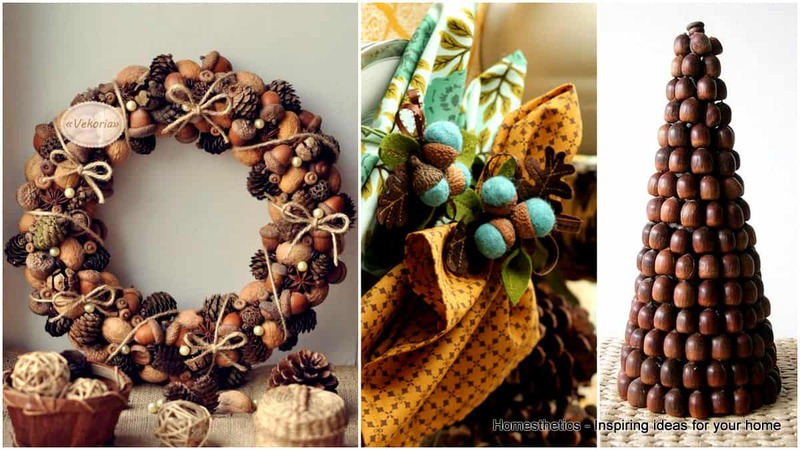 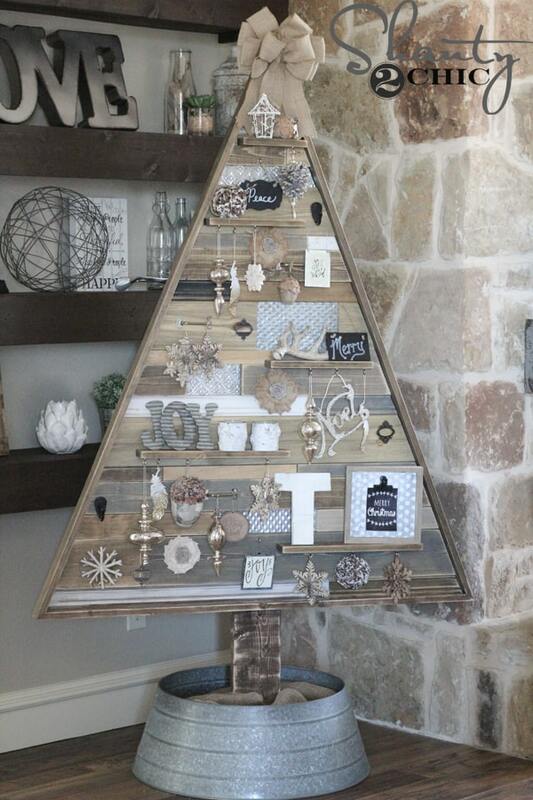 You can use pallet planks to form a 3d tree, jut juxtapose the wood and place the ornaments on the formed “branches”. 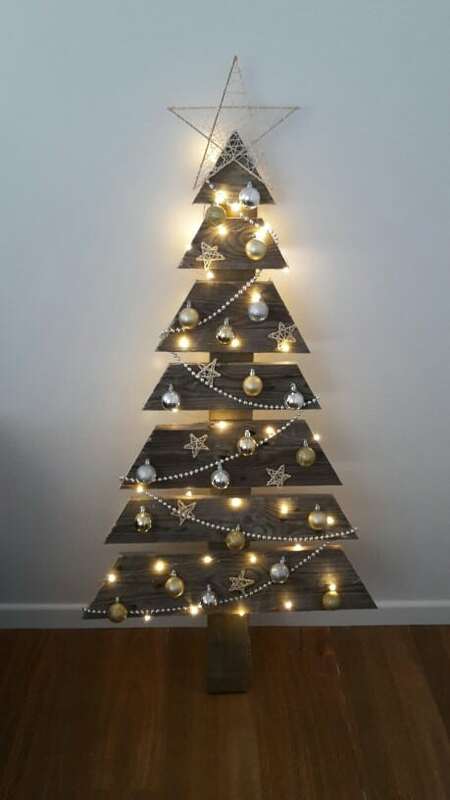 For a modern interior design keep the tree simple as well, go for a two tone combination when it comes to the ornaments. 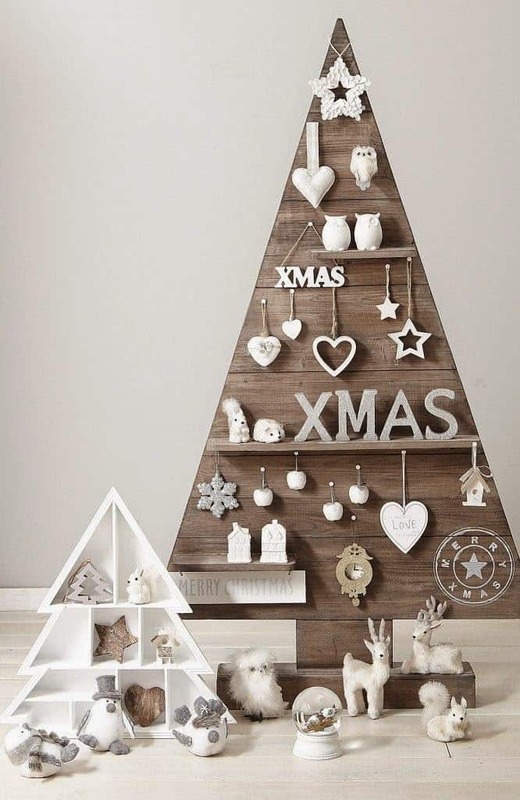 It’s the right design to display all those funny and cute figurines you have been saving over the years. 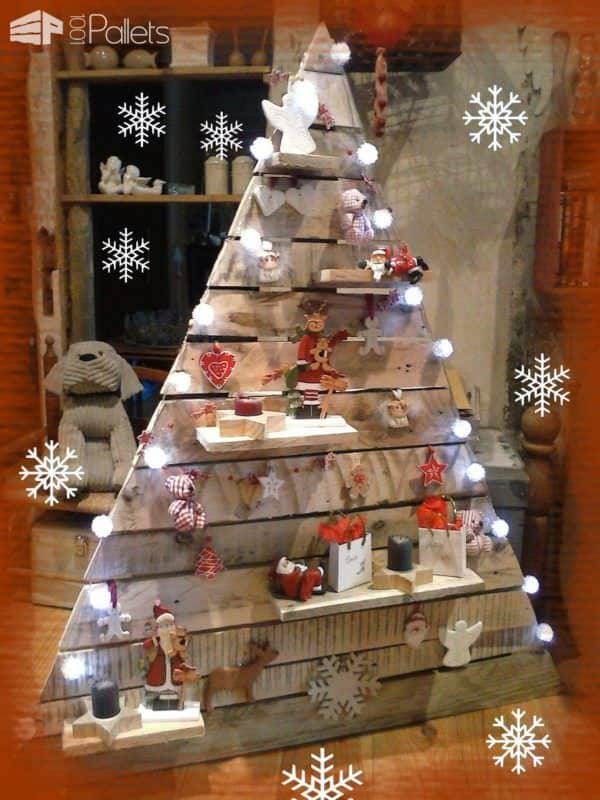 Light is the key element in this design, shaping the tree and contrasting with the natural wood and the colorful globes. 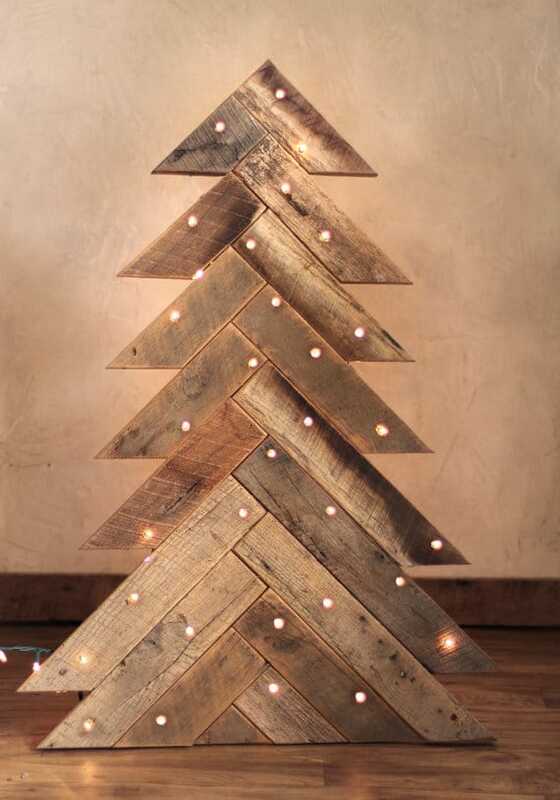 Create a chevron inspired pattern for your tree and insert small lights equally distributed. 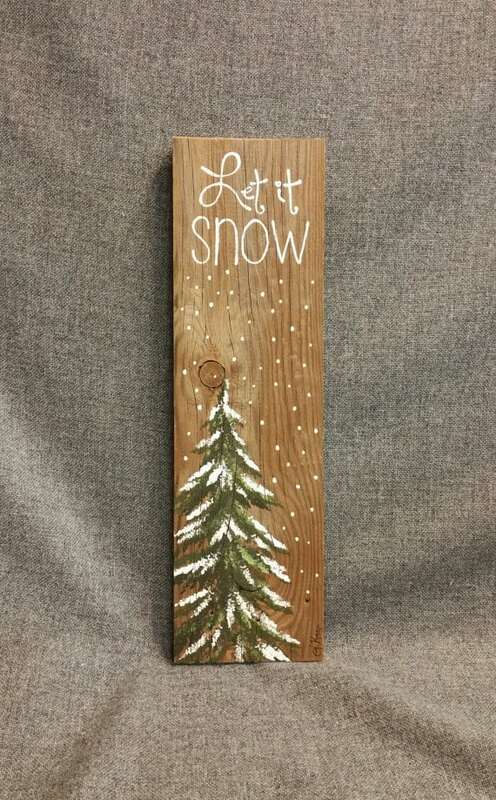 Express your artistic skills on a blank pallet plank and paint your favorite tree. The alternation of wooden textures with their rich and complex tones gives elegance to this simple tree. 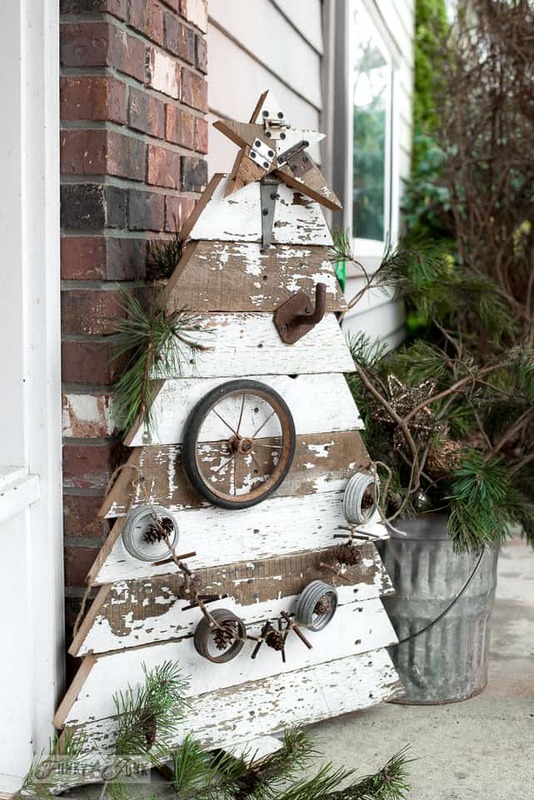 Invite the holidays in with a rustic inspired Christmas tree placed on your front porch. 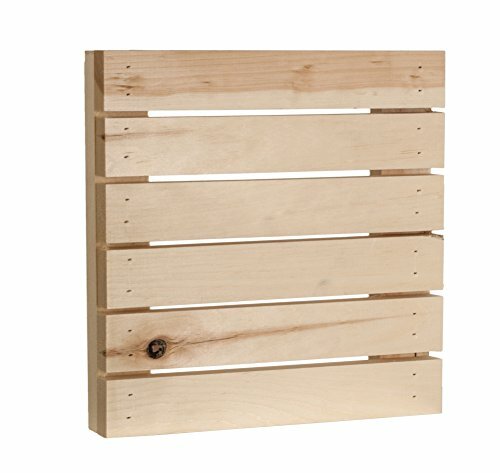 Create a clean minimal design and allow the wood to shine. 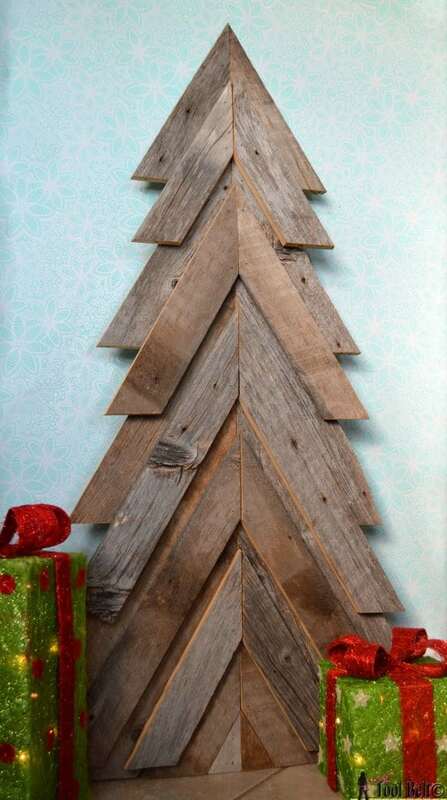 Have you ever considered using a pallet to form your Christmas tree instead of buying the classical pine one? 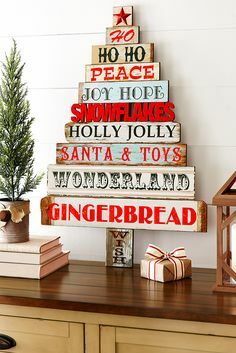 Feel free to share your decorations and ideas in the comment section below.